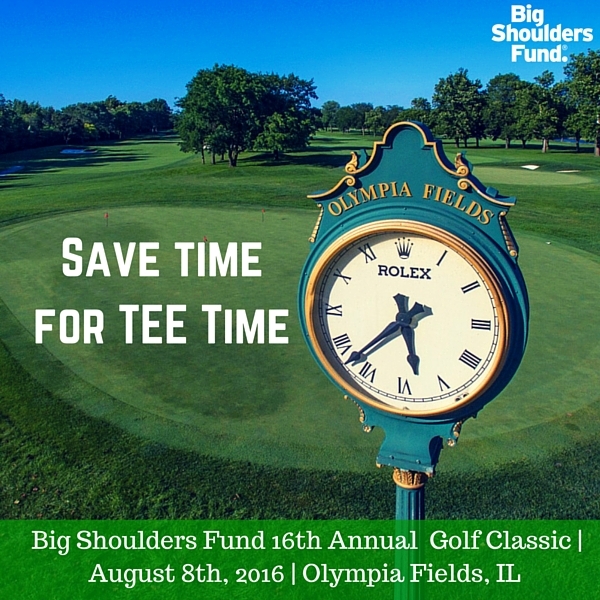 Mark your calendars for the Big Shoulders Fund 16th Annual Golf Classic at Olympia Fields on Monday, August 8, 2016. Sponsorship opportunities are available. Interested in attending? Learn more about the event at bigshouldersfund.org and/or contact Amy Drozda at 312.751.3850. ← Teacher Development Program Application Now Available – Deadline June 17th!